Over the past few years it is fair to say that there has been a number of ‘food scares’ surrounding Britain’s food industry. Most recently three of the UK’s leading supermarkets have launched investigations into their chicken supplies after a national newspaper uncovered alleged hygiene failings within the poultry industry. Undercover footage, photographic evidence and reports from whistle blowers gathered by The Guardian appeared to reveal strict industry hygiene standards, in place to limit the spread of Campylobacter on chickens, were being flouted on the factory floor and on farms. The poultry processing plants involved denied the claims and a Food Standards Agency review of the evidence has found “no risk to public health”. But the investigation has prompted major retailers to launch investigations into their poultry sources over the past weeks. As a market leading supplier of food packaging solutions to the UK, one of our key responsibilities is to ensure that the packaging we supply is safe for use with food products, whilst at the same time offering the right kind of protection to ensure the product arrives on the family table as fresh as possible and in the best condition. By investing in ground-breaking technology and partnering with other leading companies in the field of food safety, LINPAC can guarantee its packaging solutions are food safe and offer optimum protection to the products they package. We have invested more than £8m in our super cleaning technology during the past six years to give our customers peace of mind as the trend for using recycled plastics in food packaging continues. We have made significant investments in high pressure, high temperature cleaning systems at our sites around the globe so that customers can be confident that the recyclate used in the manufacture of our rPET trays is free from contamination and suitable for contact with food. Retailers and consumers are driving growth in the rPET market with demand for packaging which has strong environmental credentials; rPET is easily recycled and reduces carbon footprint by up to 70% when compared to virgin PET. The challenge for plastics processors supplying the food industry is ensuring that the recycled plastic is suitable for food use and free from contamination. Our in-house super cleaning technology is fully compliant to European regulations and is now successfully vetted by EFSA’s technical committee, meaning that we do not have to rely on third party suppliers for that guarantee. Furthermore, we carry out migration and extraction testing regularly to ensure that our processes are not only meeting but exceeding food safety standards with packs utilising 100% rPET. LINPAC has also joined forces with Addmaster, a leading player in the field of antimicrobial additives, to create a technically advanced range of trays and lidding films which reduces the growth of bacteria on the outer packaging of fresh meat, including Campylobacter. The additives are cost effective and crucially do not affect product’s organoleptic properties i.e. taste or smell. Addmaster’s Biomaster antimicrobial technology is a silver-based additive that can be added into any plastic, paper, textile, paint or coating product. Treated products have been proven to reduce the growth of Campylobacter on their surface by up to 99.99%. 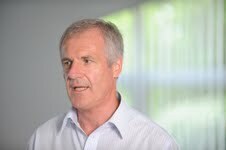 LINPAC director of Innovation Alan Davey, said: “While the correct handling and preparation of food by consumers at home prevents contamination, our work with Addmaster is addressing concerns raised by our customers and is helping them to reduce the chances of bacterial growth on the outer packaging of fresh meat products in the stages between farm and fork. Most recently LINPAC created a partnership with a packaging machinery manufacturer and a leading film printer to create a flexible packaging solution for protein products which helps minimise contamination and reduce food and packaging waste in-store and at home. Developed in partnership between LINPAC, Rovipak and Parkside Flexibles Group, Quattrapak offers a new tiered packaging solution for retailers and includes a barrier ovenable MAP pack, a high barrier MAP pack, and a standard no barrier flow pack. The two MAP options extend shelf life, reduce food waste by maintaining freshness and enable consumers to store their products for longer at home. The range is a completely inline formed, filled, printed and sealed, four sided gusseted solution that meets consumer demand for healthy, tasty meals which are easy and quick to prepare whilst addressing trends such as smaller households and concerns about food and packaging waste. From factory to fork, Quattrapak offers a raft of benefits to the manufacturer and processor, retailer and more importantly, the consumer. The triple solution offering means there is a pack to suit all needs, from a standard flow pack to the ultimate in consumer convenience – the completely ‘touchless’ ovenable solution. The fact that poultry can be cooked inside the packaging ensures that the consumer need never touch the bird ensuring they are always protected from any Campylobacter which might have infected the product..
Quattrapak therefore ticks all the right boxes when it comes to reducing food and packaging waste while driving sales through increased consumer satisfaction, convenience and food safety. Unlike similar products on the market, the unique Quattrapak design and technology means packs do not require the incorporation of additional labels, trays or soaker pads resulting in less packaging waste, a lower carbon footprint and a cost effective pack for retailer and consumer. Not just for poultry, this versatile pack design, which has been patented by Rovipak the designers, can cater for whole or portioned cuts of meat making Quattrapak an appealing option for single person households, as well as the shopper buying for a family meal. In addition, optional pack handles create a ‘touchless’ solution which is an attractive design feature for consumers who dislike handling fresh meat and also helps to minimise the risk of contamination from bacteria such as campylobacter from poultry in the home. The lamination films used in the Quattrapak design are sourced from LINPAC Packaging and are puncture resistant. Uniquely the ‘ears’ of the pack are hermetically sealed both inside and out, ensuring no leakage in store on shelves or during transit between store and home, creating a cleaner, more hygienic pack solution enhancing customer satisfaction.